These bracelets are hand made featuring a random scattering of faceted rondelles on belcher chain. 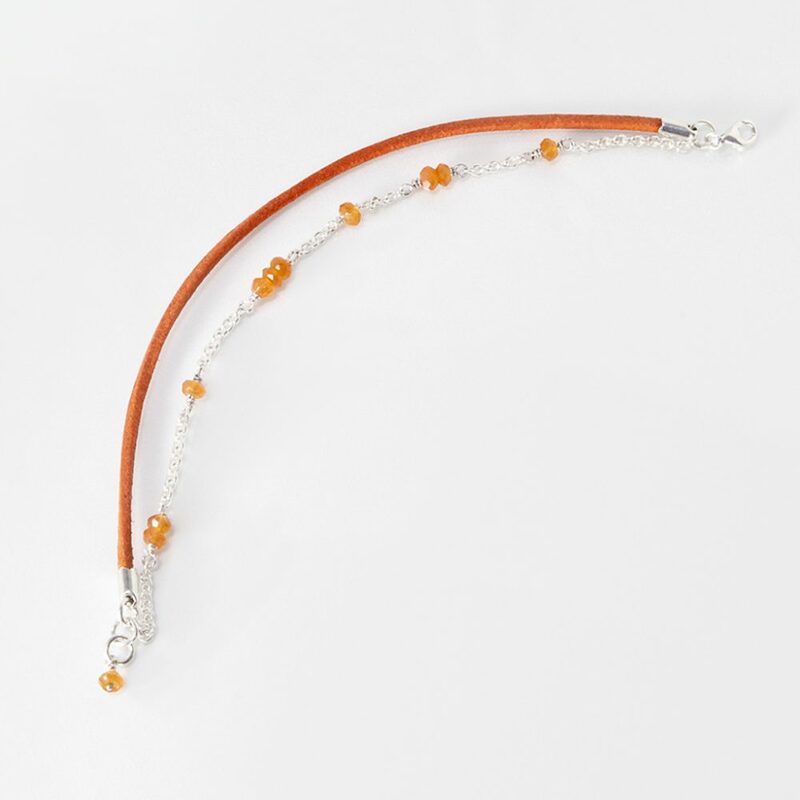 The silver chain sits along side a complimentary coloured leather cord. The clasp is a mini lobster with a choice of 3 jump rings to fasten it to. There is a further bead on the last ring. Vegan leather available in grey and purple.